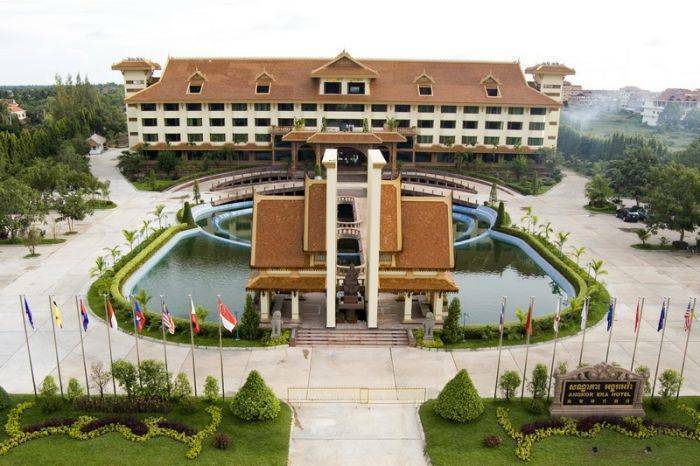 Angkor Era Hotel is a newly luxurious 5 stars city hotel located along National Road 6, in the most popular tourist destination of Cambodia historic city of Siem Reap. 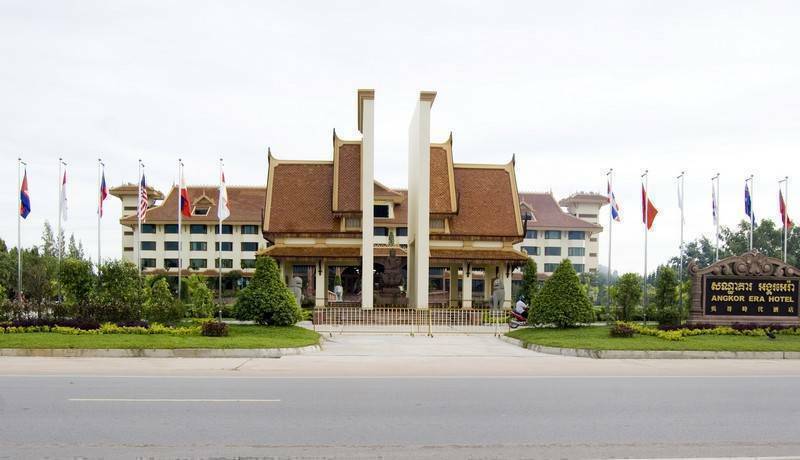 The hotel is just 20 minutes from Siem Reap International Airport, and a mere 10 minutes from the city's cultural and shopping hubs, local markets and World Heritage Site, the Angkor Archeological Park. 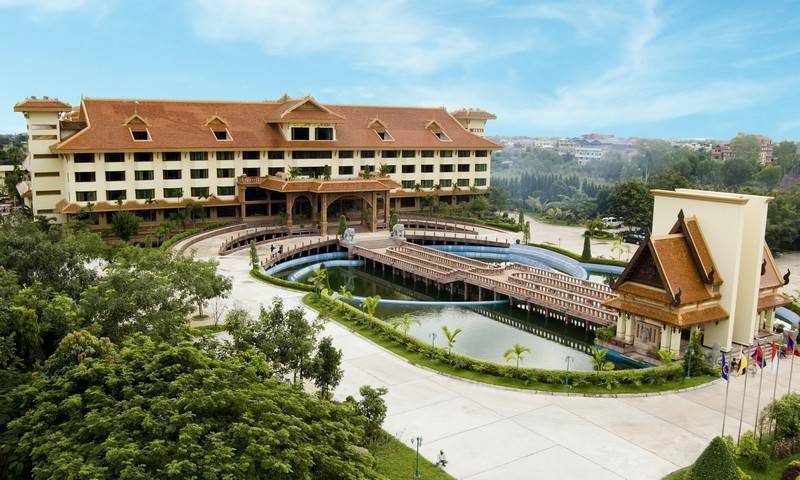 You will be greeted by friendly staffs, faith to broaden your sanity and heightens serenity and peacefulness. We provide free of charge for an airport pick up. Please advice us the flight information. The hotel is a 5 storey building with features 248 well-appointed guestrooms including 126 Deluxe City View, 89 Deluxe pool view, 3 Junior Suite, 6 Business Suite, 6 Family Suite, 4 Studio Suite, 11 Executive suite, 2 Era Suite and 1 President Suite. Spacious room with unique traditional Khmer design with a touch of modern amenities, majority of our deluxe rooms overlook the Angkor Wat and Pool View. 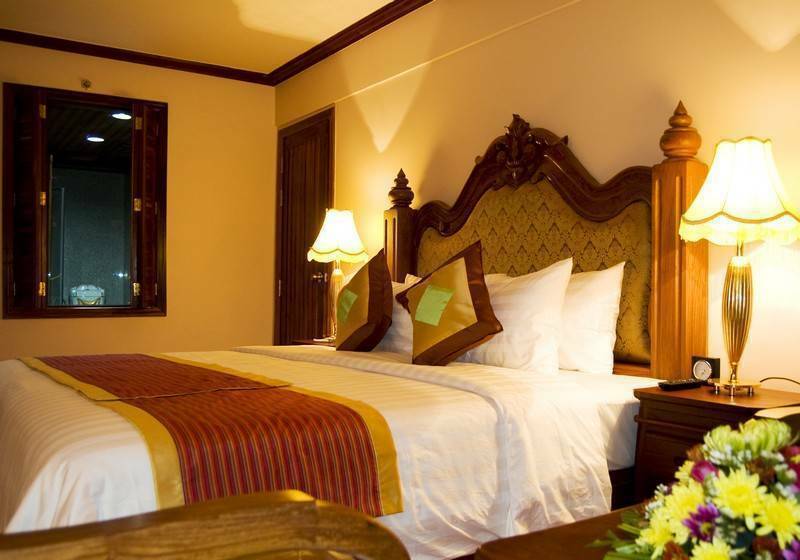 Room size is 39 square meters with fully completed amenities. 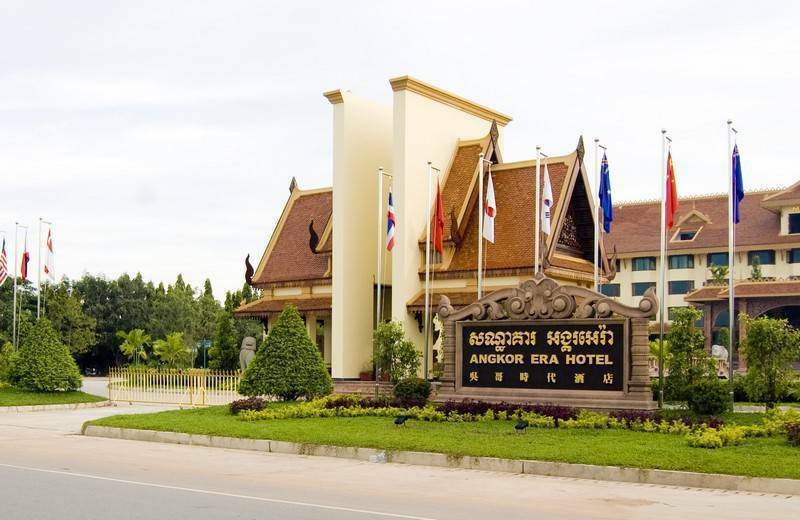 The hotel is just 20 minutes from Siem Reap International Airport, and a mere 10 minutes from the city's cultural and shopping hubs, local markets and World Heritage Site, the Angkor Archeological Park.